First of all a big thank you to all of you out there for bombarding us with phone calls and emails expressing gratitude for the podcast with Gavan. Sometimes we wonder though why we have the comments function enabled here, if — in the end — our email inbox explodes instead anyway. But anyhow! Commmunication is always appreciated! Welcome back to the Podcast series co-produced by Nonformality and Youth Debate. As you know, we recorded the inputs of the keynote speakers at the most recent research seminar of the institutional partnership on youth work, youth research and youth policy development. One by one, we publish these recordings as podcasts throughout the coming weeks. Today is the time to make the recording of Peter Lauritzen available to you. Peter gave an input on the role of research and its triangular relation to youth work practice and youth policy at the research seminar. He does have a couple of surprises for you — including a powerful proof of his inclination to work visually. 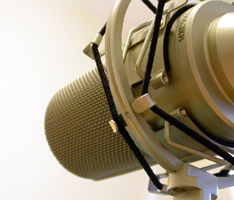 Now, a podcast is nothing else than a digital recording of a radio broadcast or a similar programme which is then made available on the Internet. While the name is coming from both broadcasting and iPod, a podcast is not restricted to an iPod or any other media player, in fact. You can listen to it easily, using one of many different ways. If you wanna know more about podcasting, head over to Wikipedia. The only thing that you need is a computer which can play mp3-files. Millions of programmes do that for you – Windows Media Player (or Jetaudio if you are on the outlook for a better and free alternative) on PC computers or Quicktime on MAC machines or iTunes on both. Normally your computer knows very well what to do anyway, so just go ahead and download the mp3 file — your machine will take it from there, most likely. If not, ask a geeky character in your vicinity. Just be aware that audio podcasts are usually not the smallest files (also true for ours: 32 Megabytes), so download might take a moment or two. The good news: It happens in the background, so you can continue to work away! For you iTunes users out there, we have also included the iTunes link. For you nerdy friends of ours, we also have a more modern version of the soundfile available. And for all friends of RSS and feed readers, we also have a link especially for our podcasts. Enjoy listening, and stay tuned! hi, nice thing ! thanks a lot. the second podcast downloaded just fine (through the iTunes Music store link), but this one won’t. it says “l’URL … est introuvable sur le serveur”. anything I can do ? maybe I’ll just download the m4a. is it just these 2 podcast available or did I miss the others ? are there gonna be more in the future ? The link works fine for me, but if iTunes continues to act up just go ahead and download the m4a version as you suggested. The third podcast is in the making, and there will be more in the future! Thanks for your interest and feedback, Ralph, appreciated.